Two of the three congressional committees investigating Russian interference in the 2016 election are being gripped by partisan infighting. 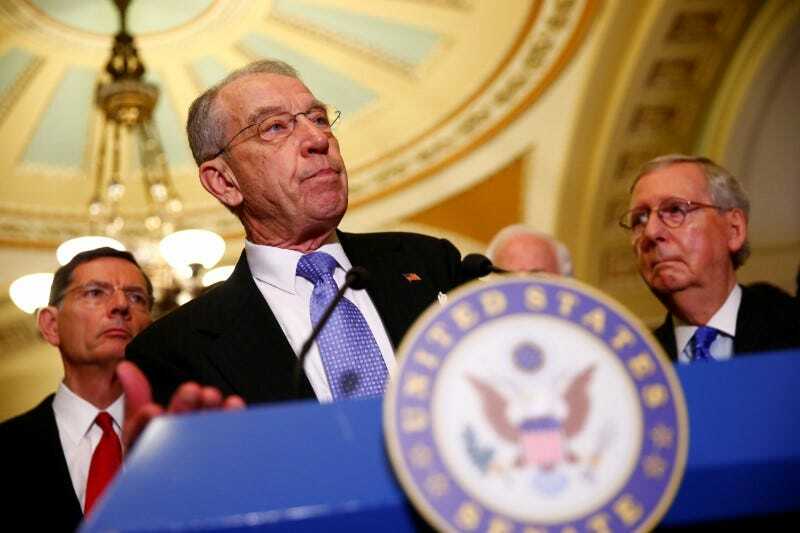 The Senate Judiciary Committee is split as to the focus of its investigation. The House Intelligence Committee could release two separate reports — one from Democrats and one from Republicans. The Senate Judiciary and House Intelligence Committees, two of the three major congressional panels investigating Russia’s election interference, appear to have resigned themselves to the reality that their probes will be conducted according to the partisan interests of their members. Democratic Sen. Dianne Feinstein, the ranking member of the Senate Judiciary Committee, has recently begun sending out a flurry of letters to witnesses requesting new documents and interviews related to potential collusion between President Donald Trump’s campaign team and Russia. The committee’s Republican chairman, Sen. Chuck Grassley, has not signed off on the letters, all of which have been made public by the panel’s Democrats. 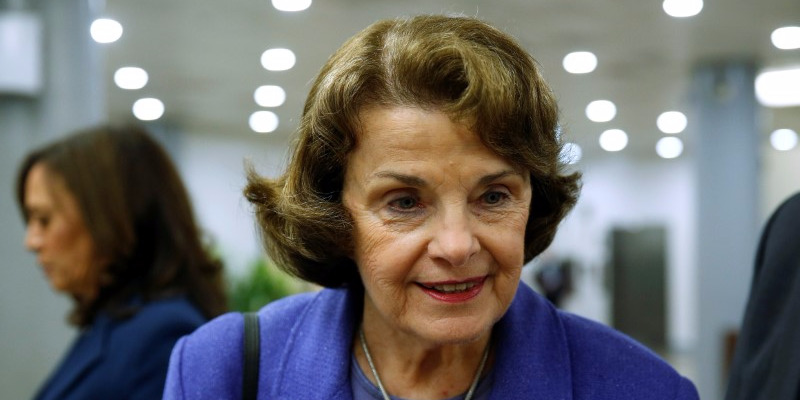 Nor did Feinstein sign off on 13 letters Grassley sent in October seeking more information about FBI agent Peter Strzok and an informant in the Uranium One probe, among others. A spokesperson for Feinstein downplayed the significance of the chairman and ranking member not signing off on each other’s witness letters. But the competing letters seem like a manifestation of the new normal Feinstein described in October. “We have decided that each side is going to take a course,” she said, referring to the committee’s Democrats and Republicans. “Our focus is obstruction of justice and whether there was cooperation/collusion between the Trump administration and Russia,” she said. Feinstein reiterated her interest in pursuing an obstruction inquiry on Sunday. “I think what we’re beginning to see is the putting together of a case of obstruction of justice,” she told Meet The Press, one day after Trump tweeted a potentially incriminating statement about his firing of former national security adviser Michael Flynn. “The Judiciary Committee conducts government oversight, not criminal investigations,” a committee spokesperson said on Tuesday. “This is exactly the type of improper political influence that the Judiciary Committee should be concerned about,” Foy said, adding that Feinstein had not signed Grassley’s letters to the FBI seeking “relevant documents” about Strzok. The House Intelligence Committee’s investigation into Russia-related matters, meanwhile, has devolved so hopelessly into partisan infighting that its findings will likely be released in two separate reports, according to a source familiar with the probe. Democratic Rep. Mike Quigley, who sits on the committee, hinted at that possibility in September. “It’s conceivable that Republicans and Democrats would have separate reports” if they issued their findings of the investigation today, Quigley said at the time. Much, but not all, of the House panel’s infighting has stemmed from the behavior of its chairman, Republican Rep. Devin Nunes. 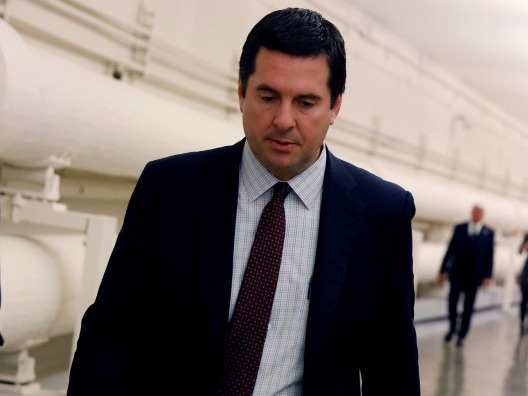 Democrats feel like Nunes has “gone rogue” with his subpoenas, according to several committee sources. They say he has antagonized the Justice Department and intelligence community at a moment when cooperation should be prioritized. Nunes stepped aside from the Russia investigation in early April following his decision to brief Trump and the press on classified intelligence — without telling his fellow committee members. But he quickly began conducting his own investigation into “unmaskings” by the Obama administration, and is threatening to hold Attorney General Jeff Sessions and FBI Director Chris Wray in contempt of Congress if they do not respond to a subpoena for documents relating to the infamous dossier alleging ties between Trump’s campaign team and Russia. A spokesman for Nunes did not return a request for comment. Quigley said Nunes was “not the only” Republican on the committee mounting “obstacles” to the investigation. The committee’s ranking member, Rep. Adam Schiff, told CNN on Tuesday that Republicans had refused to subpoena Deutsche Bank for the Trump Organization’s financial records. He called it a “troubling double-standard,” according to CNN reporter Manu Raju, because Nunes had made obtaining the bank records of opposition research firm Fusion GPS a major priority in the fall.